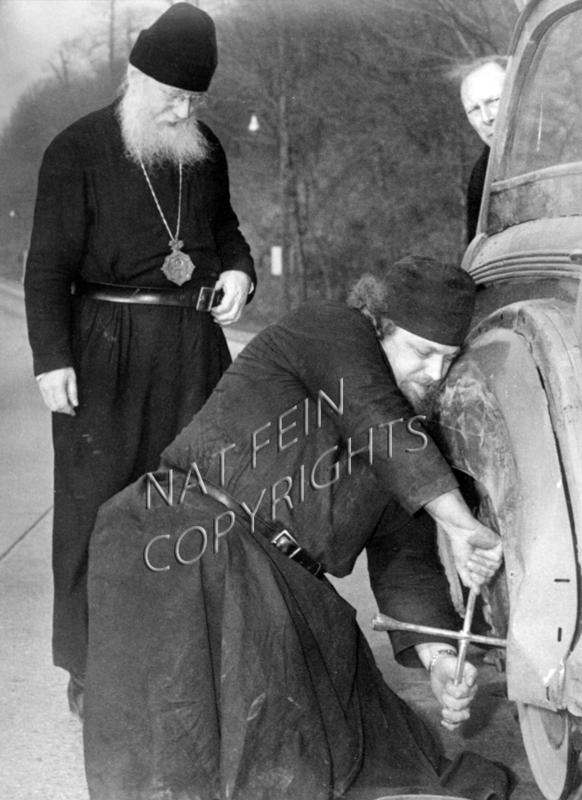 Father Victorian of Mahopac NY changes a flat tire on the Henry Hudson Parkway. Nat Fein happens on this unusual scene on route to another assignment. 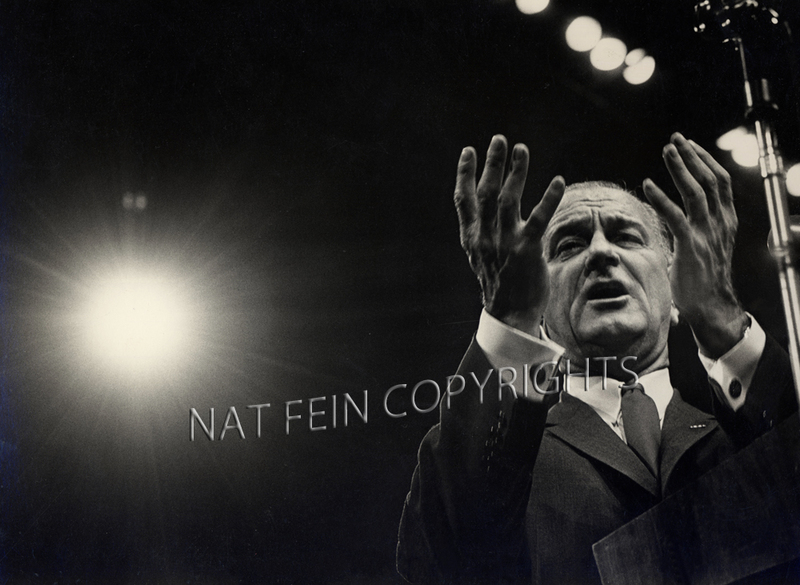 Rally inside the old Madison Square Garden.